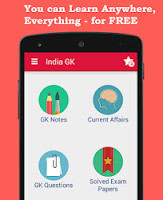 Current Affairs MCQs of 29, 30 July 2015: Current Affairs Daily Multiple Choice Questions (MCQs) for India GK, World GK and current affairs with Collection of daily objective type Question by www.Indiagk.net based on General Knowledge (GK) and General Science (GS) Questions for UPSC, State PSC, SSC, Police exam, Railway exam, SBI, Bank PO, IBPC, SSC, LDC, UDC, Army, Airforce, Navy, Coast Guard, Bank Clerk, TET and all entrance examination with current affairs News, Multiple Choice Questions (MCQs) available on Website www.IndiaGK.net and Android Apps with daily updates:. Which country becomes 162nd Member of World Trade Organization (WTO) ? Which indian team on 29th july 2015 made it to the 2016 Olympics in Rio de Janeiro ? Government to setup National Investment and Infrastructure Fund(NIIF) with initial corpuse of ? Former President Dr APJ Abdul Kalam's last rites was held at ? 1993 Mumbai blast convict Yakub Memon was hanged on 30th June 2015 at ? Sanjiv Chaturvedi gets Ramon Magsaysay Award for 2015 for ? Anshu Gupta gets Ramon Magsaysay Award for 2015 for ? Anshu Gupta, the recipient of Ramon Magsaysay Award for 2015 is assocated with NGO ?